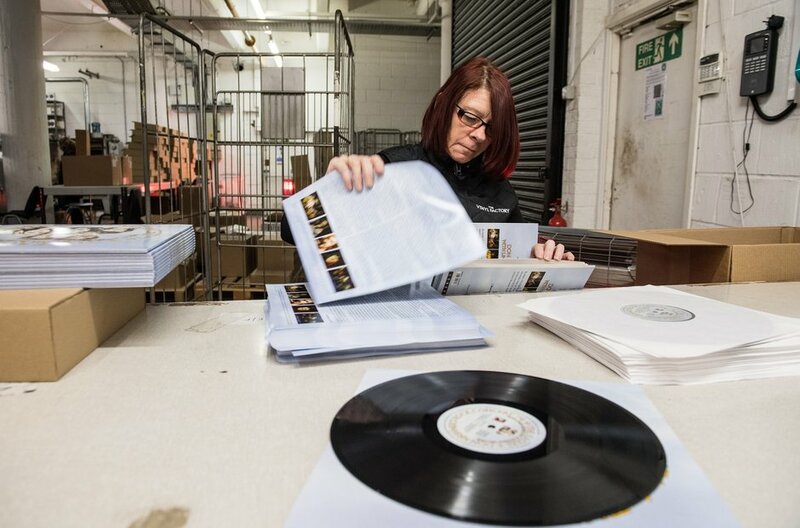 Are vinyl albums all manually made? 18. Are vinyl albums all manually made? Some parts of the process are done manually. Here, a worker slips the inner sleeves into the outer covers.